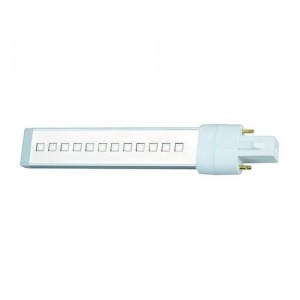 The Edge 6 Watt LED Bulb can be used with current Edge 36 watt UV lamp. You will require 4 bulbs for our 36 watt lamps. Simply replace the UV tubes with the LED tubes and you will have 24 Watt LED lamp. The LED bulbs will fit both The Edge Pink/White and Black/Silver 36 watt UV lamps just perfectly. Use 4 bulbs in The Edge UV lamp to get 24 W LED lamp instead.